Diana is the Founder and CEO of The World Egg Bank. After successfully becoming pregnant, fertility specialists began approaching Diana asking for her help in finding egg donors for their own patients. She quickly discovered that there was a desperate need for a company that understood empowering recipients with information about egg donors, and the emotional sensitivity to navigate through the process of involving another person in their reproduction life. Through her own personal experience, she created a company that catered to the personal needs of intended parents as well as brought the best quality of care to the egg donors. For over 20 years, Diana’s egg donor agency has matched thousands of donors and couples nationwide and internationally. 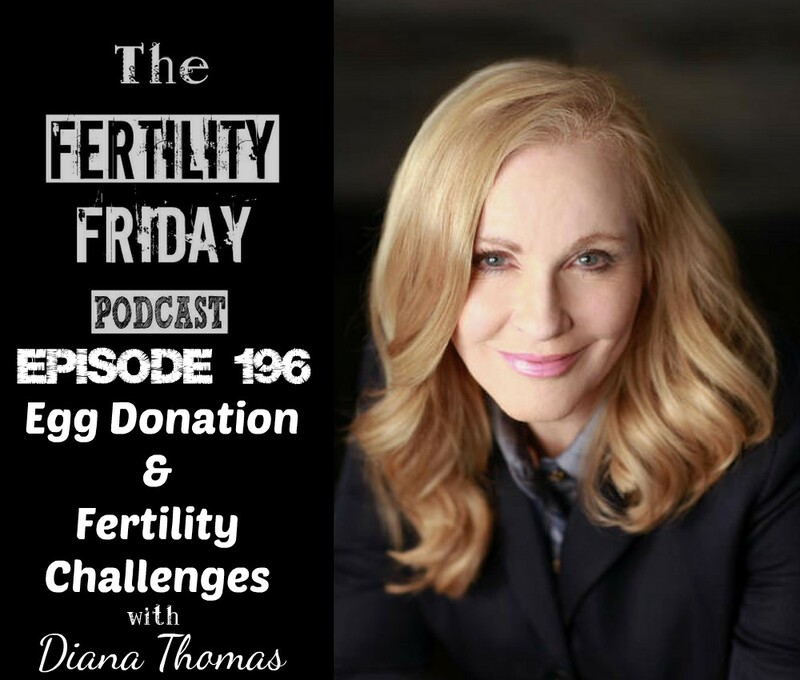 In today’s episode, Diana shares her experience with infertility, and why it drove her to create The World Egg Bank to support women and families experiencing fertility challenges. My Fertility Awareness Programs are designed to help you to master Fertility Awareness and take a deep dive into your cycles. Gain confidence charting your cycles, and gain deep insights into the connection between your health, your fertility, and your cycles. Click here for more information! The Fertility Friday Podcast is supported by the Women’s Monthly Kit by DAO labs Head over to mydaolabs.com and use the code FERTILITY to receive 20% off your first purchase. Should you tell your child the truth about their conception (if they were conceived via a donor egg)? How are egg donors selected? Are there restrictions for donors? You can connect with Diana on her Website, on Facebook and on Twitter. This episode is sponsored by the Women’s Monthly Kit by DAO Labs. Herbal medicine is an integral part of Chinese medicine. Herbs have been used for centuries for a variety of treatments and needs and remain incredibly popular today. DAO Labs is on a path to making Chinese herbal medicine more approachable, convenient and tasty. Revitalize and harmonize your cycle with two ancient herbal formulas with a modern twist. Click here for more information. Don’t forget to use code: FERTILITY at check out for 20% off your first order.